The tennis ball is traveling faster and faster in today's game. By reminding yourself to contact the ball at the peak of the bounce you will get to the ball more quickly, be able to use your regular swing, and give yourself the best chance of consistently hitting the ball more solid. Human nature makes us think that it is an advantage to have more time before you have to hit your shot. However, if the ball starts to drop or if you stand deeper in the court, you are adding potential problems to the shot. It will feel like you have to generate your own power by swinging harder as well as potentially having to make contact with the ball when it is well below the level of the net. Your shot will have to be hit with a lot of topspin or slower in order to control where it lands and it will also increase the chances of a mishit due to the height of the ball. 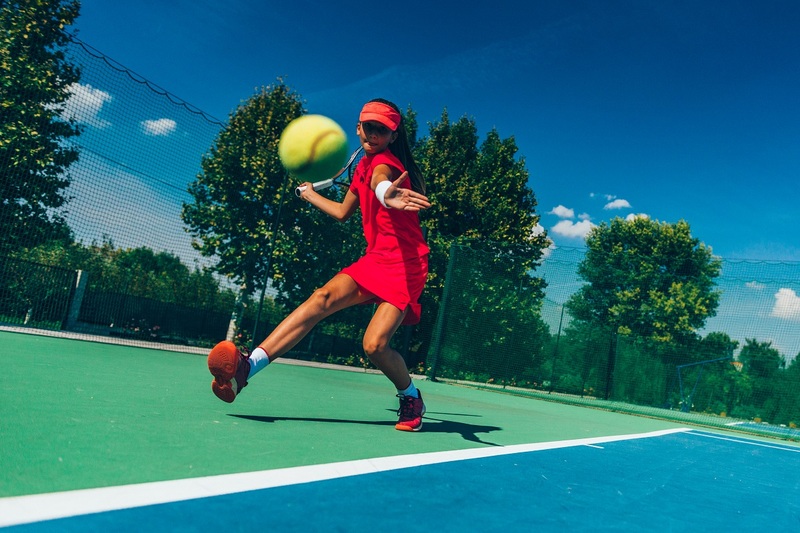 Challenge yourself to get to the ball quickly and prepare the racquet early so that you make contact more often in a comfortable position resulting in more solid shots.